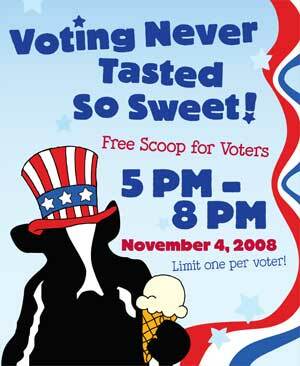 As if we needed another reason to vote, Ben & Jerry's is giving away a free scoop of ice cream to anyone who's voted. All you have to do is show them your "I voted" sticker or a photo of yourself in front of your voting booth. Yay! Yum! Hooray!